While it’s easy to become smitten with birds and blindly embrace them as our feathered friends, let this goose that attacked a police officer serve as a lesson to all of us to proceed cautiously on that front. Birds are out here going AWF, y’all, so consider yourselves warned. So, what prompted this goose to go all batshit on a cop? Apparently, Detective Ray Hall of Clarksville, Indiana made the egregious error of — wait for it — trying to enter his work place. According to The Huffington Post, the grumpy Canada goose completely lost it when the officer strode past the bird, which was perched near the walkway leading to the police station. Hall told Inside Edition that as he approached the station, he noticed the mother goose on her nest hissing from a distance. Before he knew what was happening, the large father goose flew at him again and again, feverishly flapping his wings and taking aim at the officer’s head, which the birds are known to do. Surveillance footage shared by Hall’s colleague on YouTube shows the bird-man showdown, in which Hall tries to shield himself from the avian attack with his backpack before taking a swing at the bird. Unfortunately, his self-defense was no match for this angry goose. 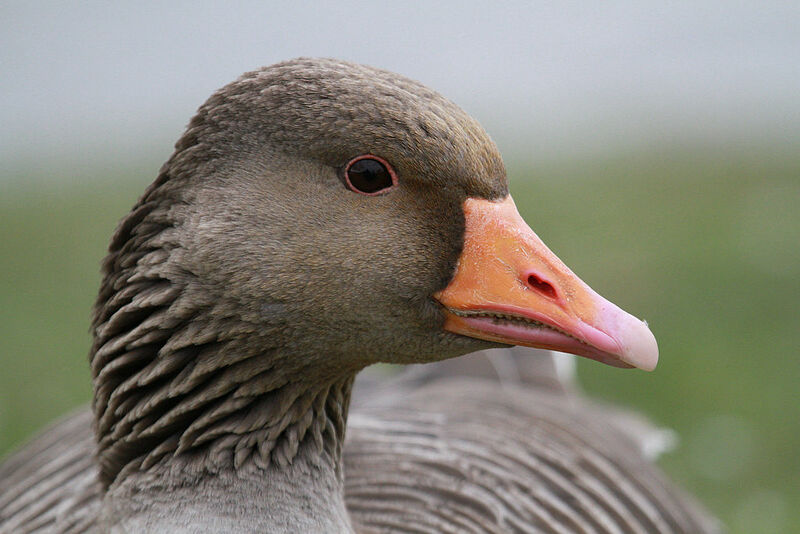 “When I fell into the mulch, I was eye level with the female goose on her nest, and she was hissing at me as well and I was within an arm’s reach of her, so I hurried up and got out and I ran out of the bush, and he attacked me again from behind,” Hall told Inside Edition of his encounter with the angry birds, which luckily did not result in any injuries. LOL. Who else is cringing and laughing at the same time?